It's been a while since a blog post and the work in this one was actually done in summer 2017. In this post we'll explore the testing of the quadcopter we performed in order to determine whether the drone is feasible in the field. A little while ago we were asking if anyone was interested in collaborating in some field feasibility testing. Happily, we were contacted by a number of people and were able to work with the National Trust at their property - Scotney Castle, in Kent. 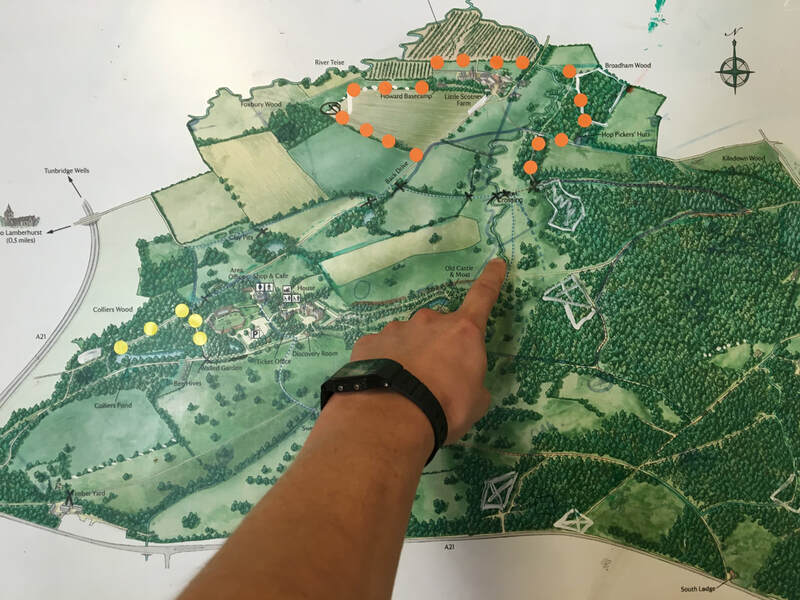 We want to give a big thanks at this point to Ross Wingfield who was the head ranger at Scotney and did an amazing job supporting us in a heap of different ways from driving us round the site to showing us his own drone sourced topography maps of the site. We couldn't have asked for more or have done it without him. We initially visited the site in late June for an assessment of potential sites and whether the quadcopter or plane would be a better tool for surveying. We identified a number of sites, mostly along waterways, hedge and tree lines that we thought had good potential for bat commuting routes. It was also decided at this stage that the quadcopter would be a better tool for surveying due to the small survey sites, topography and the layout of the grounds. The actual survey dates were set for late July and we planned on spending two nights on site. We decided on three survey routes and flew all of these during the day to ensure the quadcopter wasn't close to any trees or obstacles. With the waypoints set we were ready to get into the night time testing! 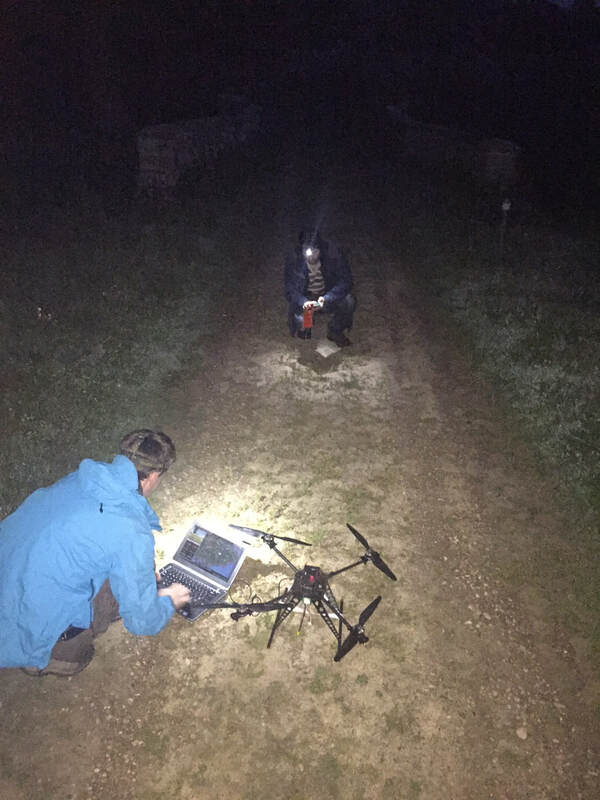 Aside from testing the quadcopter to see if we can make successful recordings we were also interested in whether the detector on the quad would record bats that aren't detectable on the ground. To test this we decided to run a simultaneous ground transect below the drone with a spare Peersonic detector identical to the one attached to the quad. We got some really great recordings of Myotis bats. These were a real oppertunity to see how well the calls came out over the top of the noise of the drone. 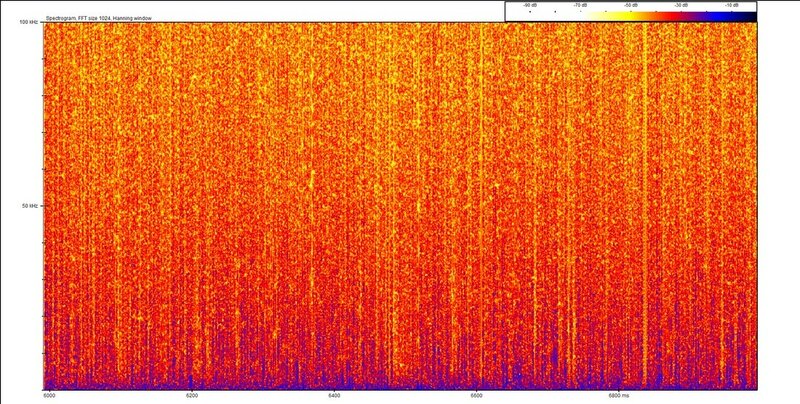 This shows that the noise from the drone is pretty low (visible as a horizontal yellow band in the figure below), and that calls in this frequency range are clearly visible over the top. Fab news! 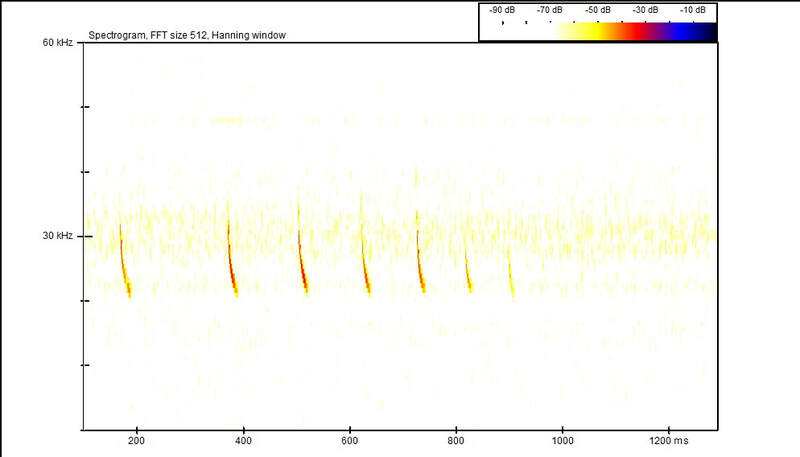 This shows that the quadcopter can record bats with very little noise, good potential in the future we think. 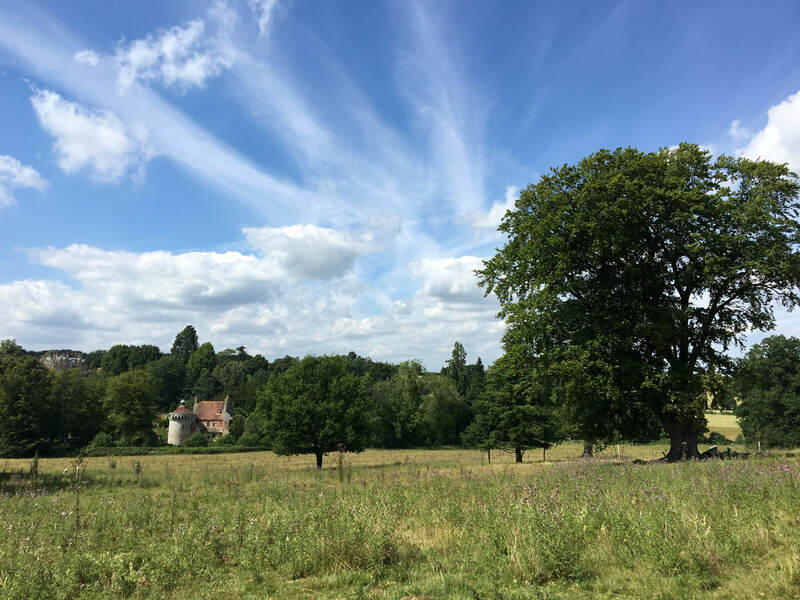 ​The data collected from the trip to Scotney will form the base of a paper we're writing and hoping will be accepted for publication later this year. Looking forward to getting this out! 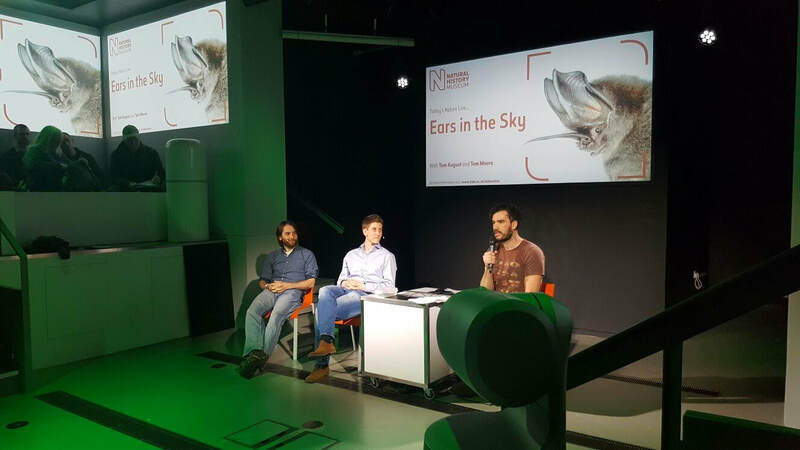 Back in May we were fortunate to be asked by the Natural History Museum in London to pop in for one of their late evenings and give a talk as part of this to members of the public. The format of the talk was a chat with David Urry, who's one of the staff at the NHM who run these fantastic events. We had a great time and hope the audience did as well. The talk was in the David Attenborough Theatre which we were super excited about. If you don't have time to watch the talk below then the following is probably the 'one big thing' we'd like you to take away: this project is a hobby and projects of this type are open to anyone. You don't need to be a member of a research institution or even work in the field the project is based in to be able to investigate something that no-one has done before. 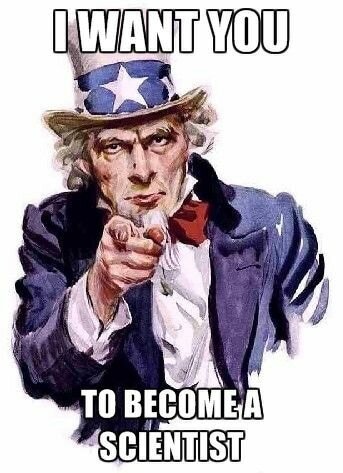 Good luck on your own projects! Although chances are, you are already! We're looking to collaborate with bat workers in the UK (ideally in the South-East as that's where we are; we're also happy to collaborate with those further afield and in other countries, see a bit below). We are planning on comparing data collected by drones with traditional methods and exploring new and unique uses (eg at altitude, over forest canopies, over water). 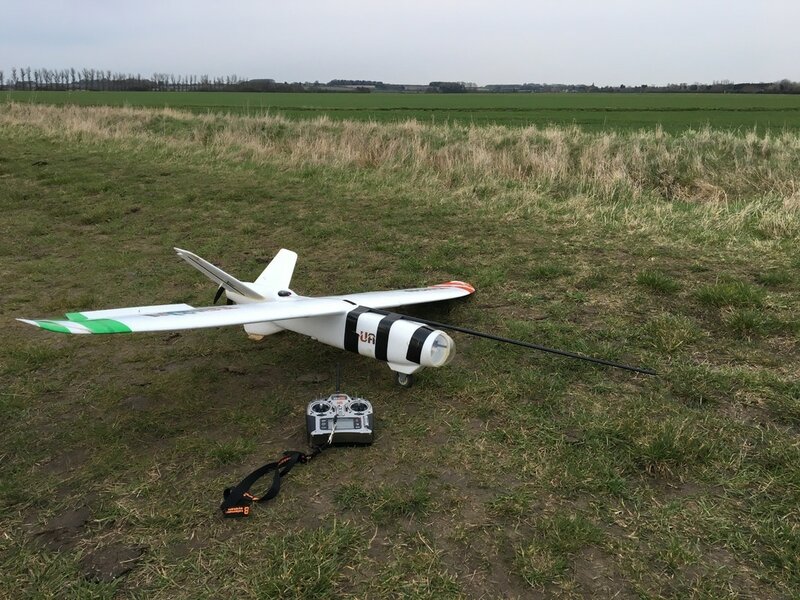 ​If you're not familiar with our project then you can see a review in our last post or to sum up: we're investigating drones as a tool for acoustic monitoring in bat work. We have successfully shown that bats can be acoustically recorded from drones - see the recordings of the quad here, plane here and boat here. If you work at an ecological consultancy or research institution we'd love to hear from you and talk about how we could collaborate. If you're not in the UK and are curious about bat drones then we would be happy to offer our support and advice for how to buy/build your own drone and start collecting data! We also have a post on this subject here. To borrow a title from a former chancellor of our alma mater; in this post we'll provide a paraphrased history of the project from inception to the present day. Getting straight into it - the idea for the project came from a conversation between Tom M & Tom A at a friends' wedding in 2014 - thanks Andy and Michelle! During the celebrations (and with a number of beers consumed), we had a chat about the fact that Tom M had just built a quadcopter and Tom A wondered if a bat detector could be attached. This was the inception of our project and when it didn't seem like ​such a crazy idea in the morning, we decided to give it a go. During the project we've been very fortunate to be invited to the Natural History Museum to give a talk and have a stand at a couple of events. One of the questions that comes up most often is "what company or university are you at?" We're not. The project is simply a very enjoyable hobby. We want to help further bat conservation it's a great way that we can assist with this using our respective skills. Tom A is our bat expert (and is now a qualified and competent drone pilot) and Tom M is our drone designer, builder and operator. We think this goes to show that if people are willing, you don't need the support of a big research grant or institution to push boundaries. Our advice is to "give it a go and see where it takes you". 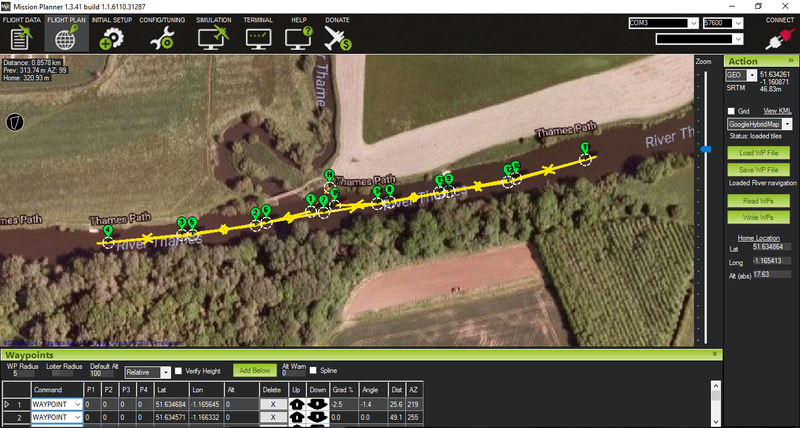 Anyway, one of the most useful features of the quadcopter we already had was its ability to fly autonomously. This is to say that it can follow a set of waypoints given to it from a computer. It's incredibly easy to use as you set the waypoints using a google map image and just click on where you want it to go. The program can also be used to create survey grids like in the image on the top left. We knew that quadcopters produced a lot of sound but didn't know how much of this was ultrasound. Our first tests showed us that it was a considerable amount. This ultrasonic interference has been a running theme through the project. 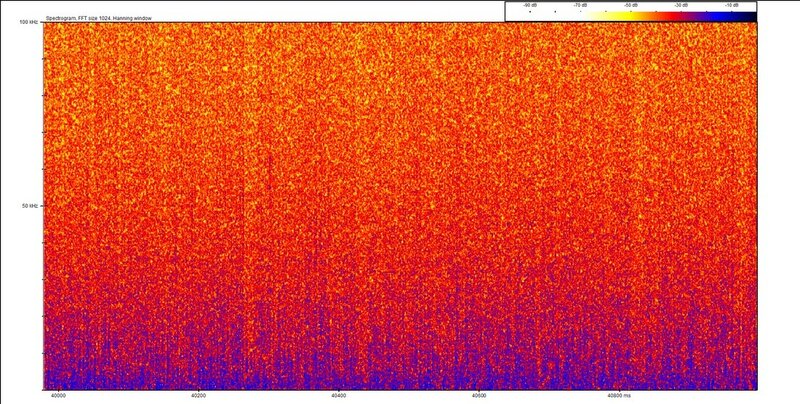 The problem lies in the signal to noise ratio of the bat call. If there is too much noise from the drone we won't be able to 'hear' the bat call. ​This meant that we had to separate the drone and the detector recording the bat calls by about five meters. The highly technical application of a piece of string was employed though this wasn't without it's problems as you can see in the video below. The problem of the oscillation arose due to the high weight of the detector. We were glad we used a water bottle of the same weight as the detector in testing! The detector and recorder weighed about a third of the quadcopter mass. This led to loss of control and meant and it wasn't an option in this configuration. In going back to the drawing board we wanted something that produced less noise and could comfortably fly with the payload of the detector. The obvious choice for us was to move to a plane; it had the added bonus of being able to fly for longer too (about 8 mins for the quad and 25 for the plane). The Talon is one of our two current options for flying bat drones (the other being the quad, see here). It's a small plane which, like the quad, can carry a small bat detector and acoustically record bat calls. Have a look at the first post on it here for more info. 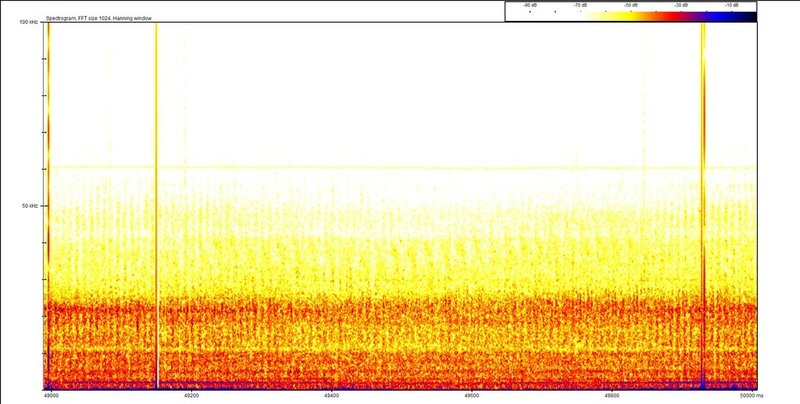 One of the major issues we've faced with acoustic monitoring is noise from the propellers. We found that if the detector is not carefully positioned a certain distance from the propeller/s then the noise may drown out any bat calls. This is the latest post in a long line about noise, see the rest of them here. Last blog post about the Talon we looked at a number of different positions of the detector and discovered that about 15cm from the nose is the quietest position we tested. 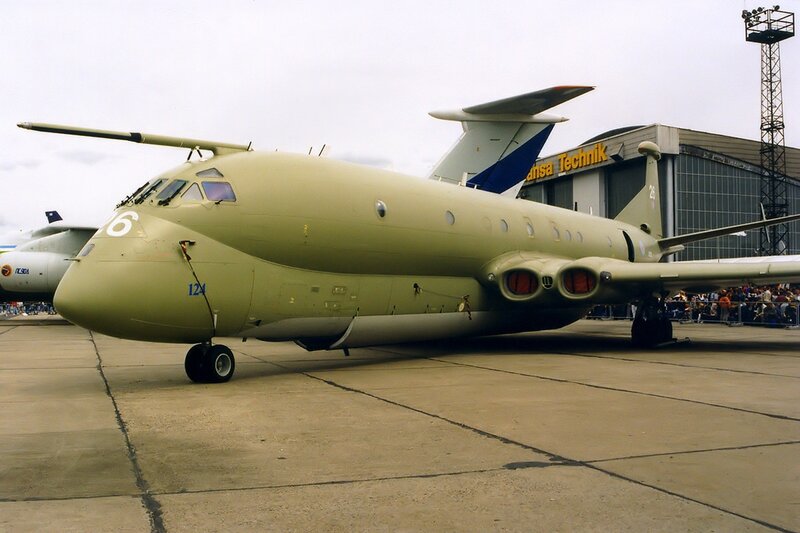 This led to us considering an extended option for the Talon - which is to say, having a stick pointing forwards off the front of the aircraft that the detector is attached to. We've secured a glass fibre tube from a fishing rod onto the front of the plane. This increases the distance between the detector and the propeller (the source of the noise). As it's ultrasound, it attenuates quickly so a small increase in distance can lead to a large drop in noise. Oddly, we found during the initial noise testing that the closer position (5cm from the nose) was actually quieter than the further position (15cm from the nose). 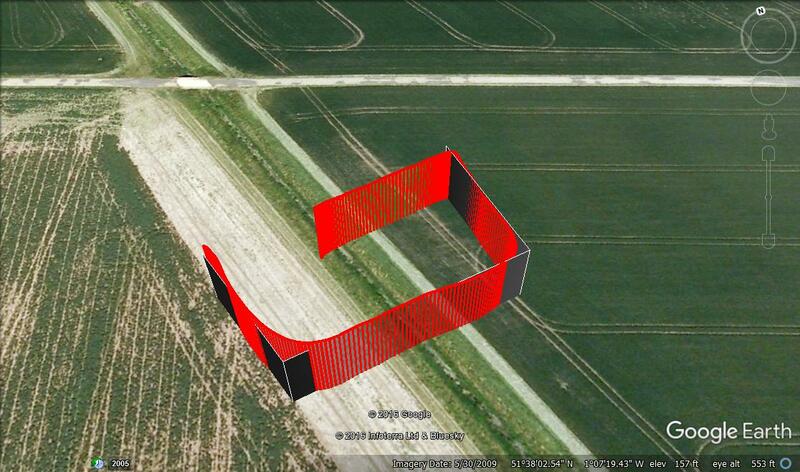 We're not sure why and would hypothesise it's something to do with the airframe blocking the noise at 5cm. The next stage of testing performed was actually flying with this setup and seeing how our two detectors perform (the Peersonic and the AudioMoth). For interest, we tested the noise levels of the two detectors at two distances from the nose of the plane, 15cm and 50cm (the furthest possible distance). There is little difference between the two distances (although the 15cm does seem to be a bit quieter) but there is a distinct difference between the two detectors. The AudioMoth is particularly sensitive to moving air across the microphone resulting in extreme wind noise. 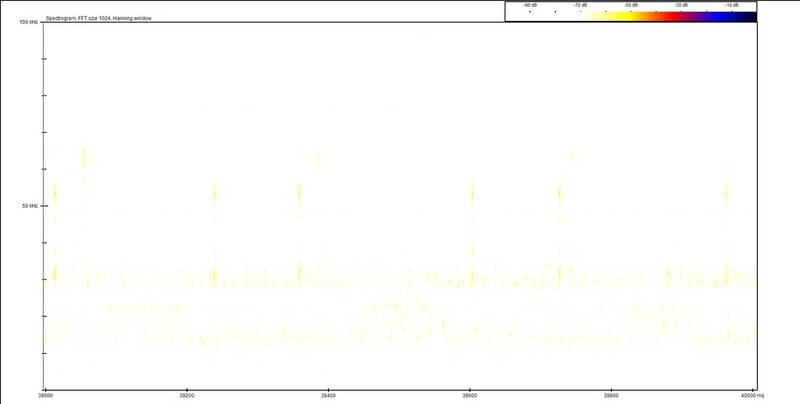 The noise levels on the Peersonic are significant but limited to a fairly narrow frequency which will still allow us to detect a number of bat species easily. It is also worth noting that the amount of noise varied through the flight, some louder and some quieter than the examples above. ​We're looking forward to getting into the field for some real world testing with this setup which we'll be doing next! We spent a weekend recently assessing the Bat Quad MkII. Here's what we found out. We've focused our initial testing on two areas. 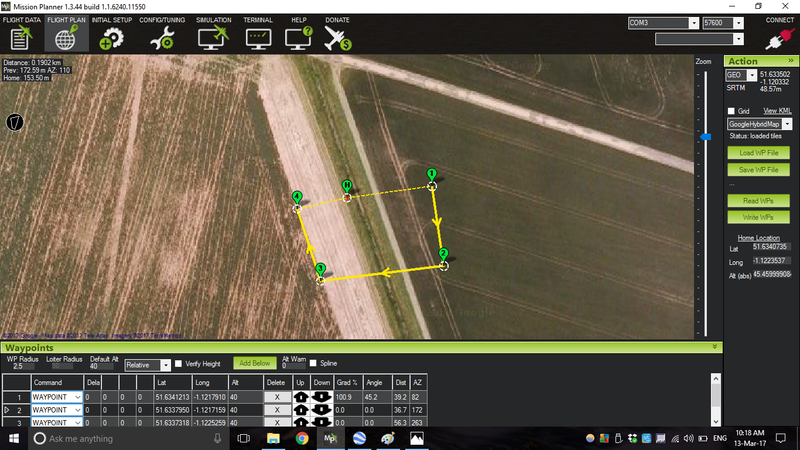 Maximise usability - the drone must also be able to follow a set route autonomously. We've run flight tests with the new quad to ensure we're able to do this. The first point worth noting is that it does fly and works well (phew!). We use a flight controller (Pixhawk) running the ArduCopter firmware which allows us to use different flight modes for different tasks. Have a look at the documentation here if you'd like to find out more. We're happy with the stability in the air and a run through of flight modes like stabilise (standard flight mode), altitude hold (quad maintains constant altitude) and loiter (quad maintains constant position in all axes). And below is the actual route the quad flew (in red), taken from the on-board telemetry data. The solid black 'wall' is the waypoint route. We're really happy with the accuracy of the following ability; especially considering our waypoints only have a 2.5m radius. Another test of a key ability is the Return To Launch (RTL) feature. We can use this if we experience any issues and want to bring the quad back to the takeoff point. When activated the quad climbs to a height of 50m (to avoid any obstacles like trees that might be in-between it and the takeoff point) and then flies to the takeoff point and descends to land. 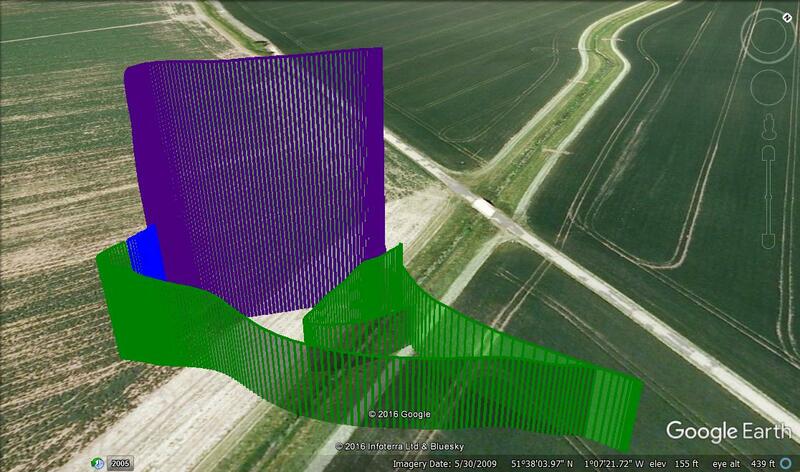 The tracks of this test flight are shown below. 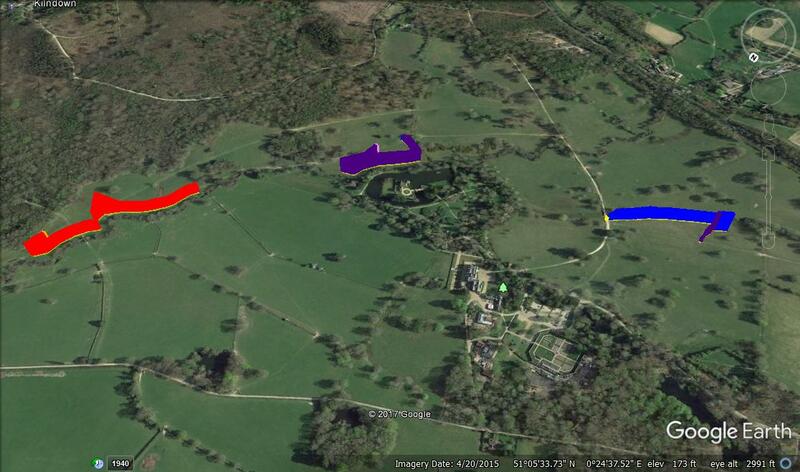 The green and blue are stabilise and altitude hold tracks and the purple is the RTL track. Again, we're happy with the result here. The quad gained the required height then flew back to a position over the takeoff point and proceeded with the landing. Something we're particularly interested in is flight time. The quad needs to have a flight time that is useful when in the field monitoring bats. Obviously, the longer the better but with the current limitations of the technology we would be happy with 30 minutes on a standard battery. We feel that this would provide a decent amount of time in the air and we can quickly change batteries when on the ground to get another 30 minutes of flight available. Alternatively, it would be possible to use a larger or more energy dense battery to have a flight time of 1 hour if this is required. If you managed to see the last blog post about the Quad MkII then you might remember that we ran through a calculation of the theoretical safe (20% battery remaining) flight time (30.1 mins). Now that we're actually flying we can put this to the test! We flew to about 15m and put the quad into loiter mode then left it there for 10 minutes. We then took the battery, which was fully charged before the flight, and charged it again, taking note of the mAh put into it. This came to 1082 mAh; the total battery capacity of 4000 mAh so working this through we calculate the safe flight time to be 29.6 mins. The quad is actually a little heavier than we thought it would be (1477g vs the theoretical 1417g) so given this we're really happy with the result. The time is so close to 30 minutes that we have no qualms about pushing the flight time to this. Very pleased that we've hit our numbers with this as it was a key reason to design and build a bespoke quad. It's no good if you can't hear the bats over the noise of the drone! We know from previous experience that the detector must be separated from the source of interference (the propellers). We've run through some tests with both the Peersonic and AudioMoth detectors to see how they perform and what noise they pick up at different distances from the quad. This will then set the distance the detector will be separated from the quad by. The AudioMoth is more sensitive in the lower frequencies than the Peersonic as we have worked with Peersonic to get a microphone that discriminates against the interference noise. The results show that at 3m the Peersonic has very little noise. 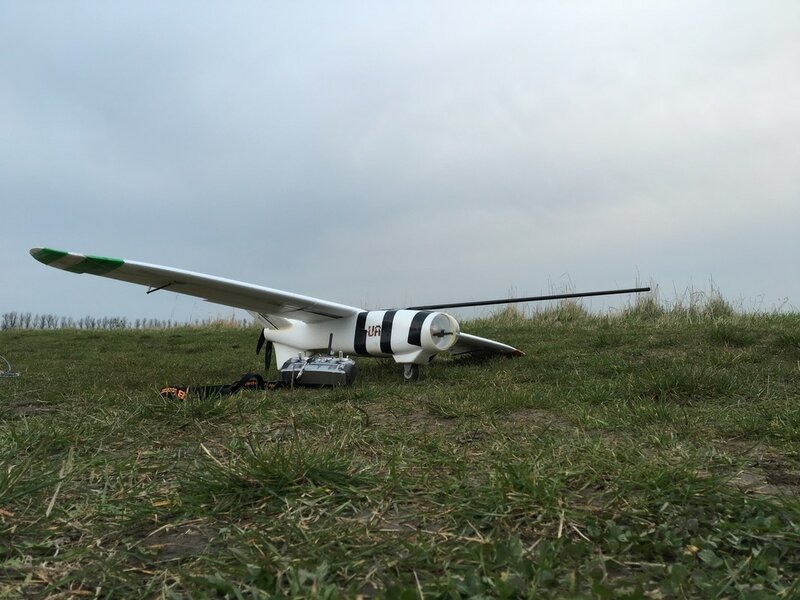 To explore this further we flew the Peersonic at a 3m distance and at an altitude of 20m. We then used the ultrasound emitter to create simulated bat calls. This is very promising, and indicates we have very good opportunities to record bats. Watch this space for field testing of the new quad! Last blog post we wrote about why we're revisiting using a quadcopter for a bat drone and mentioned some of the options available to either buy or build your very own. In this post we're going to be writing about the new quad we've designed, what we're hoping it'll be able to achieve, and providing the specs. We get a little technical in the middle of this post, so if you're not interested in all that side of the project then we've put a summary at the end. The last quad we flew with was successful in recording bat calls but could only fly for about 10 minutes. The main aim for the new quad is to increase the flight time to something more usable. We'll be very happy if we can achieve a flight time of 30 minutes on a 'normal' capacity battery and potentially longer using a larger battery or even a battery with a higher energy density. When designing a quad that can fly for what's considered a long time (30 minutes or greater), lightness and efficiency are key. To this end, we decided to build the frame from carbon fibre tubes and plates. Carbon fibre offers excellent properties as a building material as it's light and strong, which is just what we need. We've also chosen light weight options for other components like lights (we're only using 4 small LEDS) and high efficiency motors and props. We know the weight of all the individual components of our quad so can take a guess at the All Up Weight (AUW) of the quad. This comes to 1418g. How long will it fly for? An increased flight time over what's commercially available (between 20-25 minutes) at this price point (circa £600) is one of the major reasons for building our new quad. It's fairly straight forward using basic maths to give us an educated guess for the flight time. Obviously, the best way to tell how long it flies for is in real world testing but this is how we worked out how long we thought it would fly for during the design phase. In order to do calculate theoretical flight time, the first thing we need to know is what efficiency the motors are at when the quad is hovering (ie when the thrust is equal to the weight). We can use the thrust table from T-motor's website for this. 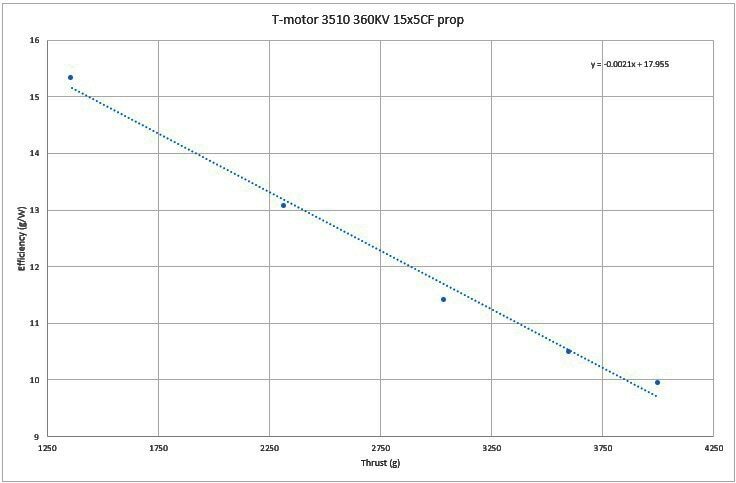 Now, we can use the equation from the trend line to work out the efficiency of the motors at the actual weight of the quad (1418g). The equation is in a small font and it's: y = -0.0021x + 17.995. Working through this, we calculate the efficiency to be 15.02g/W at 1418g of thrust. This would completely drain the battery; we're going to aim to leave at least 20% battery capacity remaining as this will help maintain the life of the batteries and also provide some spare juice should we need it. We can simply take 80% of the time calculated to work this out; so it's 30.1 mins. We can expect this to be a bit less in reality for a number of reasons, such as, the quad won't be able to stay perfectly still so will use greater than 1418g of thrust to maintain position; the motor manufacturers like to be optimistic with their efficiencies; we've extrapolated the efficiency; we've used an estimation of the AUW. How can we fly for longer? There's a great post about this on a blog called Capolight that covers most of the main options. For us, the simplest way is to add further batteries. In fact by using two of the same batteries (the Multistar 4Ah Lipos) we can already increase the flight time to a safe 47 minutes (with 20% battery capacity remaining). There's a variant of this which is to use a different type of battery with a higher energy density. We're currently using Lipo batteries with an energy density of about 185 W/kg. A Li-ion battery has an energy density of around 250 W/kg. There's a supplier called Titan that we'll be trying in the future. With a 7Ah Li-ion from Titan we can keep the weight of the quad down and increase the flight time to 49 minutes (again with 20% capacity remaining). Another method we might try is to invert the motors (as in putting them on the bottom of the arms) as this is meant to increase efficiency by up to 10%. It improves the down-wash airflow by removing the arms and edging closer to an ideal laminar flow. We're already using round profile arms which have improved airflow over square profile arms so we don't expect to see a huge jump in efficiency from this option. Finally, a really simple way to increase flight time is to actually provide some lateral movement of the quad. This increases something called translational lift due to the additional airflow over the propellers. This means it adds to the total lift meaning the propellers don't have to work as hard to produce the same amount of lift. Obviously, this is only up to a particular speed at which the increased lift is cancelled out by the motors working harder to obtain that speed. ​A clear example of this is the flight times given for the DJI Mavic - see the specs on their website. The maximum flight time is given as 27 minutes with a flight speed of 15.5 mph. The hover time however is 24 minutes at stationary hover as there is no additional lift from the increased airflow over the props. Next post we'll let you know how we've got on with the maiden flight of the new Bat Quad mkII. We'll hopefully be able to confirm some real numbers for flight times as well as info from testing the methods of increasing flight times. Quadcopters - the bat drones of the future? If you've been following the blog for a while (and maybe even follow us on twitter - @project_erebus) then you might know that we've tried both successfully and unsuccessfully to use a quad in the past and are building a new quad for the project. In fact, it's the one flying drone that we've been able to record some really good bat calls from (see the 'successfully' link above). In this post we're going to briefly cover problems using quadcopters and how we're now overcoming these issues. We've written about what quadcopters are capable of, and finally an overview of what's on the market to buy and a bit about building your own. If you've ever considered getting into bat droning then this will hopefully help you find one that works for you. Originally, we struggled to make quads work for us. We had problems such as a swinging load issue; short flight times of about 10 minutes and ultrasonic interference. Recently, with the Peersonic detector and the Soundtrap detector, we've been able to overcome the ultrasonic interference - by placing the detector further from the quad - and overcome the swinging load issue - the detectors are now much lighter and don't affect the flight of the quad to such a calamitous extent. However, the quad we were using for this testing (see here) is quite heavy and has an average efficiency meaning relatively short flight times. Happily, technology has come on somewhat in the time we've been progressing the project and we're now ready to re-visit the quad as a capable vehicle that we think probably has the best chance of succeeding as a flying 'bat drone'. After we posted about the pendulum detector issues we hypothesised that a quad would be a very capable bat drone though we didn't have the funds to capitalise on this at the time. Fortunately, we've had a very kind donation since then from Belos Ecology and along with our own funds we've been able to put together a new quadcopter which we hope will provide us with the platform to collect some strong data and make progress with the project. We'll be posting about the build and design of this soon. What are multirotors capable of? We're focusing on flight times and ease of use as we feel these are the most important factors for new users to consider. We want you to be able to get out there and get bat droning with ease so we've put together a few options that should help you with this. You should also be aware that there are important laws that users must obey regarding the use of drones. For commercial users in the UK there are some requirements that you have to fulfill in order to use a drone; have a look at our blog post here. 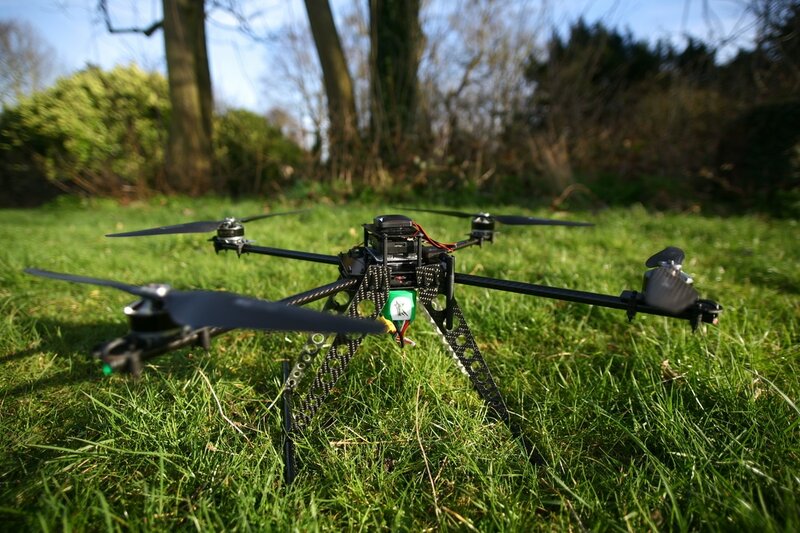 For recreational users (such as ourselves) there's a great website put together by the CAA (civil aviation authority) and NATS (national air traffic services) which can be found here; of particular interest is the drone code. 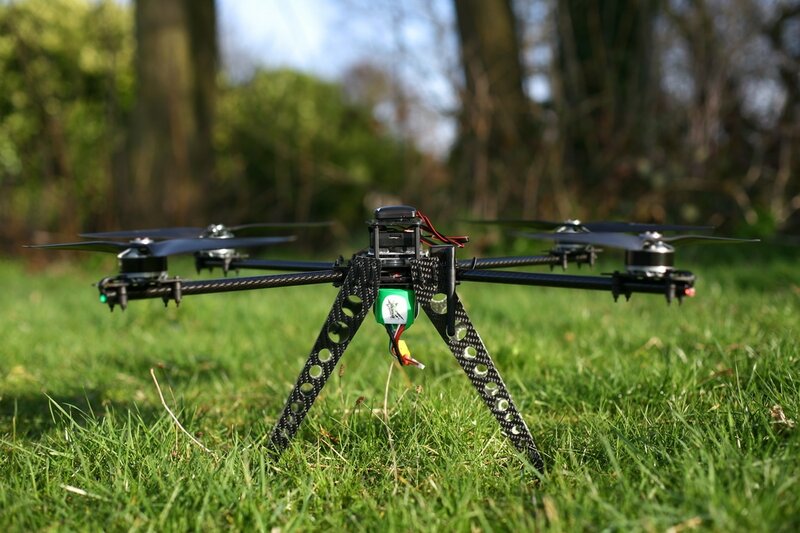 There are a number of multirotor options available, such as quadcopters, hexacopters, octacopters and more niche designs such as X8, tri-quads and co-axial copters. We're going to focus on standard layout quadcopters as these are an elegant, simple and proven design. With regards to capability, multirotors have relatively short of flight time. You'll be looking at a flight time of 20-25 minutes per battery for a normal quadcopter like a DJI Phantom series and up to an hour for specifically designed and built quads. This is a very fast paced area for development and flight times are constantly improving. The record flight time for a small quad for example is just under four hours though this uses a specialist hydrogen fuel cell power supply. Something worth noting is that the flight times given for models are really hover times rather than a measure of the 'useful' time you can fly for. The quadcopters are holding position and not spending any excess energy on making any changing lateral movements. A further note is that if the quad is travelling in a straight line there is additional wind flow over the propellers resulting in more lift - which is called translational lift. This will increase efficiency and flight time, although only up to a point, which is where the energy put in to gather the speed outweighs the efficiency gains from the translational lift. Bat detector with record function - such as the Peersonic detector or the Soundtrap. An important point here is to place the detector at a distance of at least 5m from the quad (string or fishing wire should help with this). This will ensure the bat calls can be picked up over the ultrasonic interference from the quad. As you might have guessed, we're focusing on multirotors here and specifically quadcopters as they offer unique abilities and are a proven way to capture useful data. For most people we think buying a quad is going to be the easiest route into using a bat drone. If you're into DIY projects and maybe even have a little soldering experience or would like to learn about this sort of thing then by all means have a look at our guide to building and/or designing your own below. 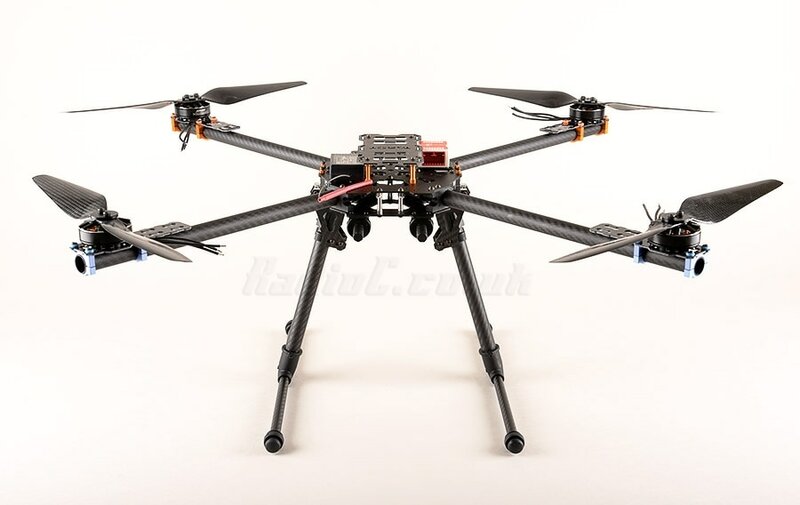 So, what's a good flight time for a quad that can be bought or built? It depends on the weight of the payload, in our case the bat detector, but generally if you can achieve greater than 20 minutes useful flying time then you're doing well. If you're achieving 30 minutes then be very happy and anything over 45 minutes of useful flight time is exceptional. For example, DJI make a claim of 27 minutes maximum flying time for their Mavic quad which is very impressive. It does seem this flight time was aided by a flying speed of 15 mph thereby providing further translational lift; as evidence of this, the maximum hover time is lower at 24 minutes. In terms of ease of use between bought or built it really depends on the 'brains' of the drone called the flight controller. This is the clever electronics which can enable autonomous operation and all sorts of interesting flight modes, such as altitude hold, loiter, follow me and follow waypoints. DJI make great flight controllers which you find in their quads or buy separately to use in your own build. There's also a community based flight controller based on Ardupilot firmware which we use. It runs on various hardware and we're using a 3DR Pixhawk flight controller. Again, this allows a lot of interesting flight modes which suit our needs. We would suggest at a minimum you ensure the flight controller has GNSS (like GPS and/or GLONASS) and the ability to follow waypoints. Buying a bat drone? See below! For the majority of users this is going to be the easiest way into working with a bat drone. 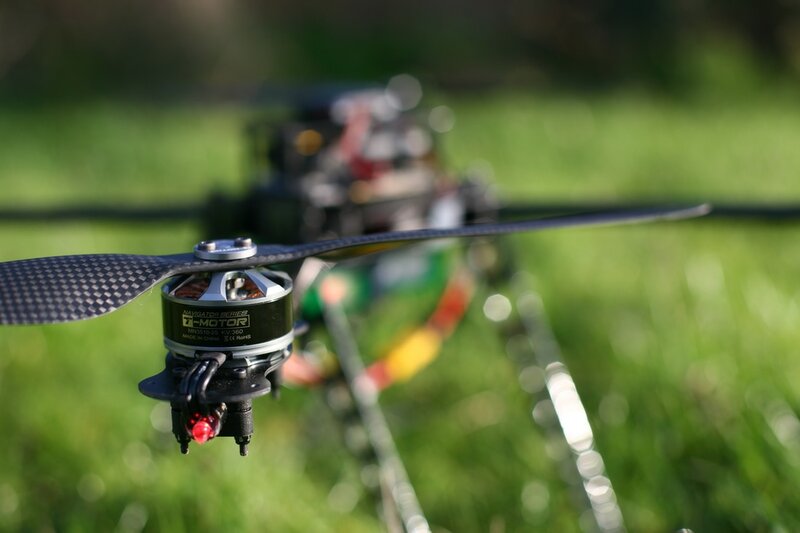 There are a number of great multirotors on the market which offer excellent reliability and build quality as well as great flight times and very intuitive user interfaces. Which one suits you may well depend on the cost. Generally, as you pay more you increase the flight time and the payload the multirotor can carry. Starting costs are realistically between £300-400 and you can spend up to several thousand pounds. The most recognisable manufacturer of ready to fly multirotors is DJI. They make quads such as the Phantom series and Inspire series. We've been experimenting with a Phantom 3 recently and found it to be very capable. There's a lot of really great features and nice little touches, such as screw on propellers, smart batteries (which discharge themselves to a storage voltage after a set time), and a fantastic user interface (which is an amazing selling point). Plus, they're really easy to fly quads that can get you flying great straight out of the box with a simple setup procedure. If you want a really straight forward way into flying your own bat drone then you can't go wrong with DJI. 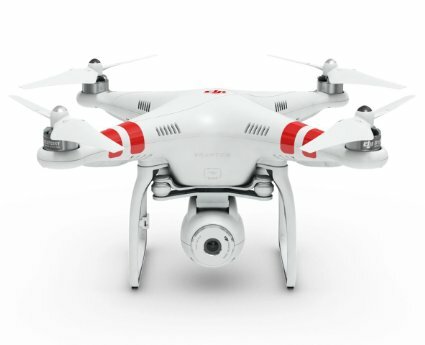 You'll be looking at a flight time of around 20 minutes and a cost of between £300 for a second hand Phantom 2 on eBay to £3000 for a new Inspire 2. Downsides are that additional batteries are quite expensive (relative to DIY options) though they are the 'smart' batteries as mentioned above so at least this lets you feel a bit better about it! We would also recommend a company called 3DR. 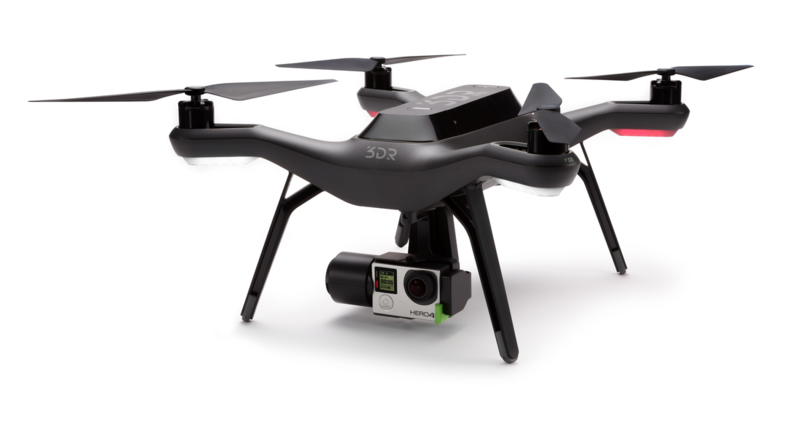 They manufacture a quad called the Solo and although they've re-focused on commercial applications recently, and re-branded and re-priced the Solo for this market, you can still pick one up second hand. 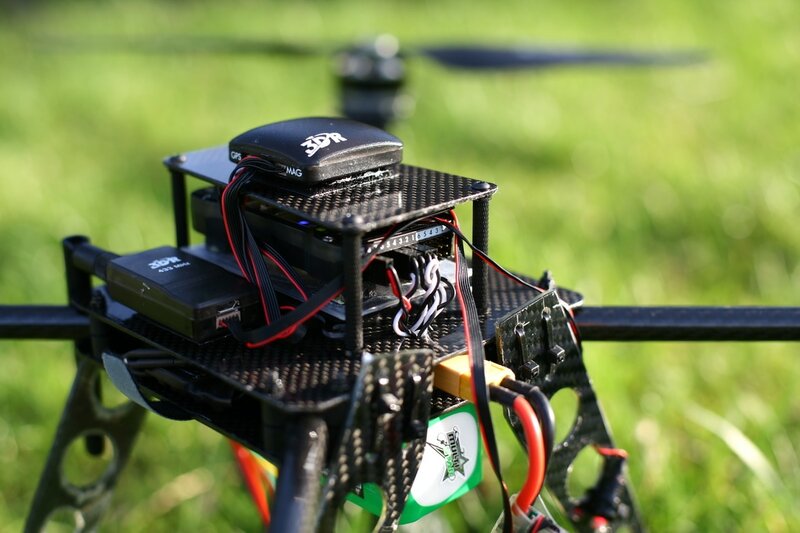 3DR also make the Pixhawk flight controller that we use in all of our drones. You can find a second hand Solo on eBay for around £350 and should be looking at a flight time of just under 20 minutes. Although we haven't used a Solo it runs off an adapted version of the same flight controller firmware we use so it's also very easy to fly and offers all the necessary features required. If you're looking for something that'll fly for a bit longer then this is certainly possible with a ready to fly quad. 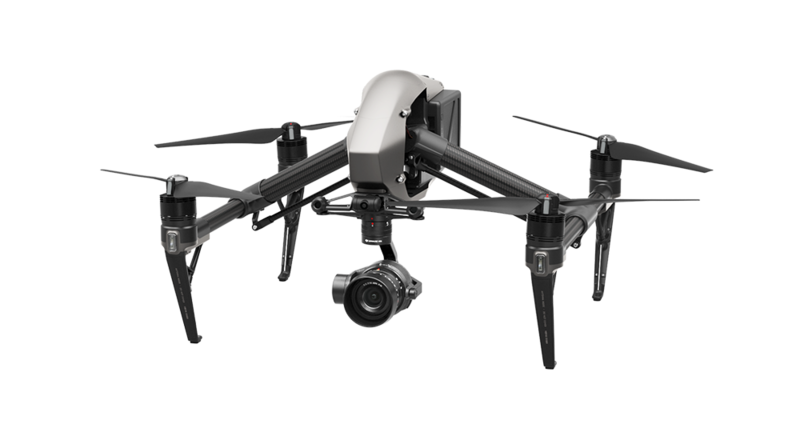 DJI make a heavy lift (larger payload) hexacopter called the Matrice 600 and a smaller quad version called the Matrice 200. It's designed as a professional filming platform and can fly for just under 40 minutes with a very light payload like a bat detector. The reason its a hex rather than quad is for redundancy as a hex can fly with a damaged motor/prop. The only issue is that the pro version costs £5200 and you'll need the optional extra improved batteries to maximise the flight time. What we'd recommend is that you contact someone at heliguy.com or uavshop.co.uk. They'll be able to put together a custom build for you. 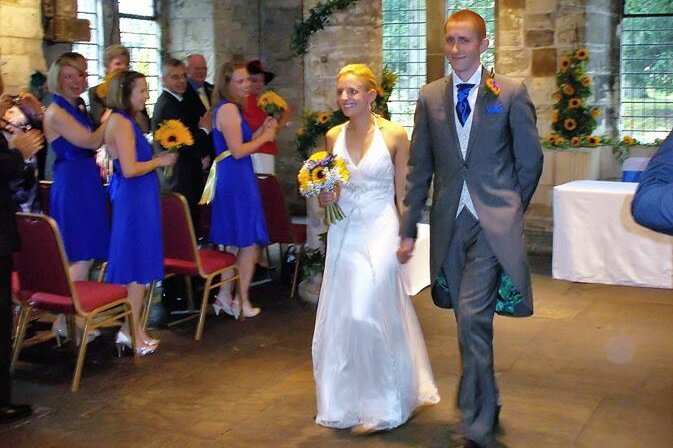 We've dealt with them in the past for some advice and they're very knowledgeable, helpful and friendly. 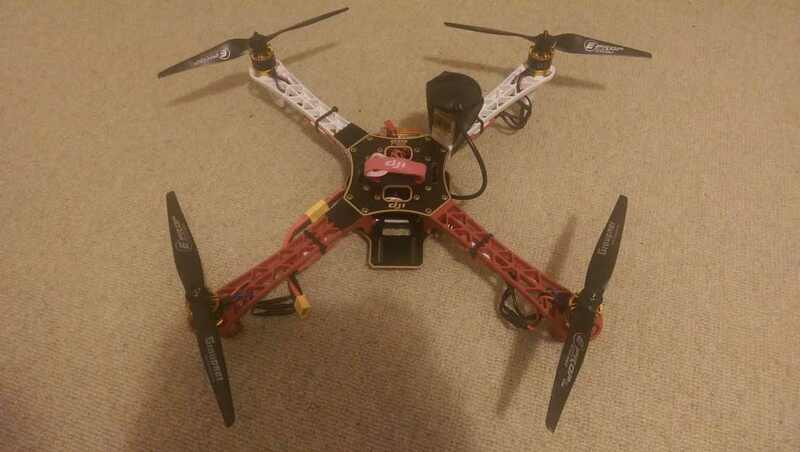 It's also the easiest option for a ready to fly long duration multicopter, though certainly not the cheapest! This section will only be of interest if you're into DIY projects. If you would like to give it a go yourself then read on! 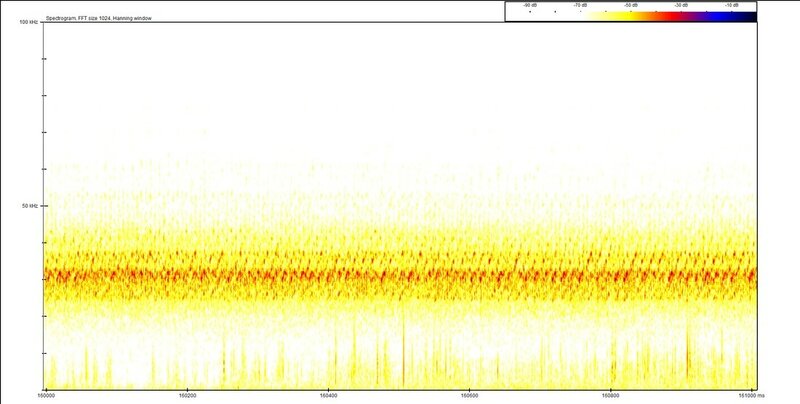 After our initial field testing with the first bat plane (have a look at the blog post here) we knew that we needed to reduce the noise seen in the sonograms. This has been the driving force behind making the Mk2, Mk3 and purchasing the Talon. 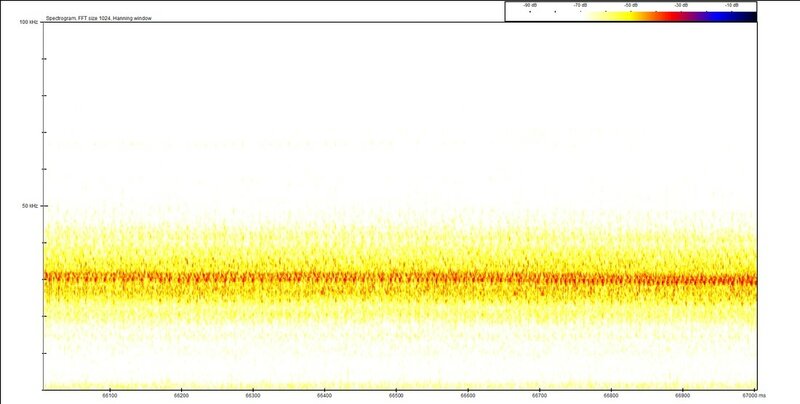 The noise is a product of the propeller spinning and as such we've tried to reduce the noise heard by the ultrasound detector by separating the propeller and detector by as much distance as possible. Let's take a look at the data we produced from the two detectors in the various positions. For reference, the throttle was set at the minimum value required for level flight (circa 35%) in order to minimise noise which mimics what we would do in field testing. The first noticable difference between the two detectors is that the Soundtrap picks up a lot more noise. There are a number of possible reasons for this. One we know will be a factor is that the Peersonic has a microphone which actively suppresses noise below 20kHz. Looking at the difference between the various positions, it's apparent that the noisiest position is under the belly (also closest to the propeller) and the quietest is 5cm from the nose. The quietest is somewhat of a surprise, we expected the 15cm from the nose position to be quieter as it is further from the propeller. Perhaps this is due to the airframe blocking the sound at the 5cm position. In conclusion, the current thinking is to use the 5cm position for field testing. As there is still some time before the bats come out of hibernation we think it might be worth testing a further extended-Nimrod option, with the microphone circa 60cm from the nose and we'd also like to compare the signal to noise ratio for the Peersonic and Soundtrap (AudioMoth) in the preferred position using the ultrasound source (see the blog post here about using this previously). ​Keep checking out the blog for more! 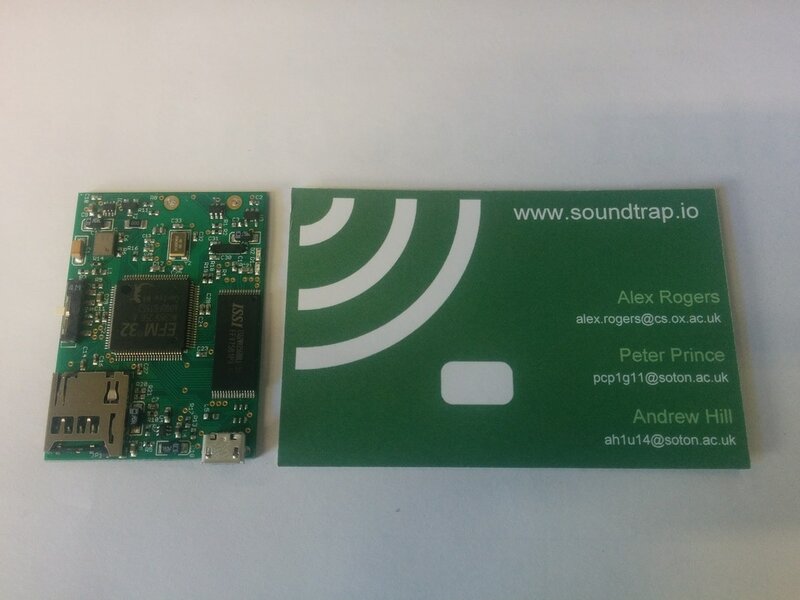 UPDATE: Soundtrap has now changed name (due to a conflict of names) to Open Acoustic Devices. The detector we're using is now called the AudioMoth. For this blog post we'll keep the references as 'Soundtrap' as it was at the time. ​The group is made up of researchers at the University of Oxford and University of Southampton and they have been kind enough to send us one of their detectors to do some testing with. The detector has already been deployed for a number of experiments around the world and if you're interested in it then we'd highly recommend checking out their website. During our weekend testing of the new plane (the Talon, see the blog post here) we were actually able to do some side-by-side comparison testing with the Soundtrap and the Peersonic and we'll be putting up another post about this shortly. Our plan at the moment is to run both the Soundtrap and the Peersonic concurrently to give us the best chance of capturing some good data. We'd also like to take this opportunity to say thank you to Alex, Peter and Andrew at Soundtrap who have been fantastic!